H F Richardson is a family operated business and specialises in livestock sales and has been since 1886. Rivergum Marketing specialises in communicating to farmers. We have a deep understanding of agriculture. All staff are experienced in agriculture but also have extensive backgrounds in advertising and marketing. 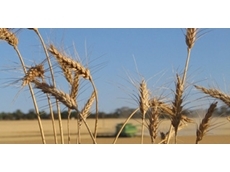 Commencing operation in 2004, Emerald has grown to become of one of Australia’s leading independent grain marketing companies, offering a range of grain marketing products to assist grower customers maximise returns and manage grain market risks. IMC provides in consulting, brand presence, integrated marketing communications and research programs for industry and government. 10/07/08 - H.F. Richardson is a real estate and livestock agency which offers rural properties for sale. 10/07/08 - Gordon Agencies specialises in buying, selling, exchanging and auctioning of livestock such as cattle, sheep, lambs, pigs and goats. 09/07/08 - H.F. Richardson specialises in offering residential properties, commercial, business, rural and land for sale. 07/07/08 - Clemson Hiscox & Co provides a full livestock marketing service in selling sheep above market value to New South Wales, Victoria, Queensland and Southern Australia.